I hockeysammanhang är det inte ofta jag blir glad när Finland vinner. Oftast blir jag både sur, arg och ledsen men när Teemu fick den där bronsmedaljen runt halsen o jublet steg då var glädjetårarna inte långt borta. Att se hur han kollade runt i arenan och veta att det var sista gången han stod på isen i OS det gav mig gåshud! 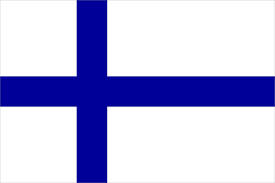 GRATTIS FINLAND!!! When it comes to hockey I almost never get happy when Finland wins. Usualy I get both angry and sad but when Teemu got that bronze medal around his neck and when you could hear the crowd roar I were on the verge of crying. Happy tears that is. To see the way he looked around in the arena and to know that, that was the last time he was on the ice in an Olympic game it gave me goosebumps!